Johnny Rod on Planet Lovetron Wednesday July 10th f discussing Toledo, Ohio area local guitarists/ entertainers performing over the last 20 years, the familiar name Johnny Rodriguez is likely to come up. Coming July 28, 2013, the first feature-length independent film from writer/director Michael DeSanto. Check out behind-the-scenes photos, the press kit and more at http://maxanderson.badatom.com/! Max Anderson is 26 years old. He&apos;s got a crappy job and he&apos;s screwing up his relationship with his girlfriend, Kristin. When she finally dumps him, he takes drastic action to prove to her that he&apos;s not the loser everyone thinks he is. 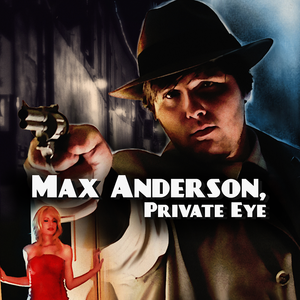 Inspired by a movie on TV, he becomes a private investigator straight out of a 1940&apos;s film noir. But he soon gets into trouble with the police and the mob. And things get even worse when the mobsters kidnap Kristin!